They're Not In Kansas Anymore! 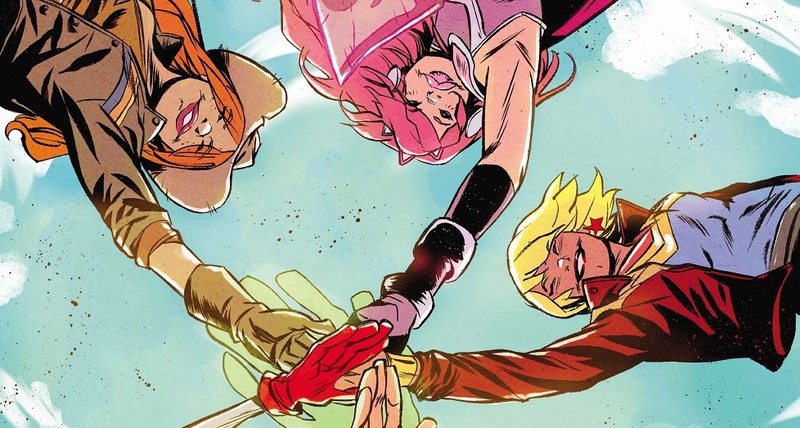 Young Justice returns to newsstands this week, with a brand new issue from Brian Michael Bendis that sees Jinny Hex and Teen Lantern waking up on a strange alien world. Following the Battle Of Metropolis, the young heroes now find themselves in a rather precarious situation millions of miles from home, but fortunately Robin has a few friends on Gemworld who should be able to get the youngsters back home before anything goes wrong. Meanwhile, Cassie meets up with her grandfather who's looking to bestow upon her some otherworldly trinkets as a stepping stone into the ranks of the pantheon - but, how do you tell almighty Zeus that you'd rather reject his gift and earn your way in ? We're not sure, but we can't imagine it's going to be easy! Brian Michael Bendis and his creative team have crafted a book truly worthy of the name Young Justice! It's all kinds of fun, and bolstering some of the best on page chemistry to grace the pages of DC Comics in a long time! Fans should definitely be checking out DC's Young Justice this year! It's simply too good to pass up and sees Brian Michael Bendis, Emanuela Lupacchino and Patrick Gleason at the top of their game once more! Rating: 4/5 - "A book that's truly worthy of the name Young Justice!" 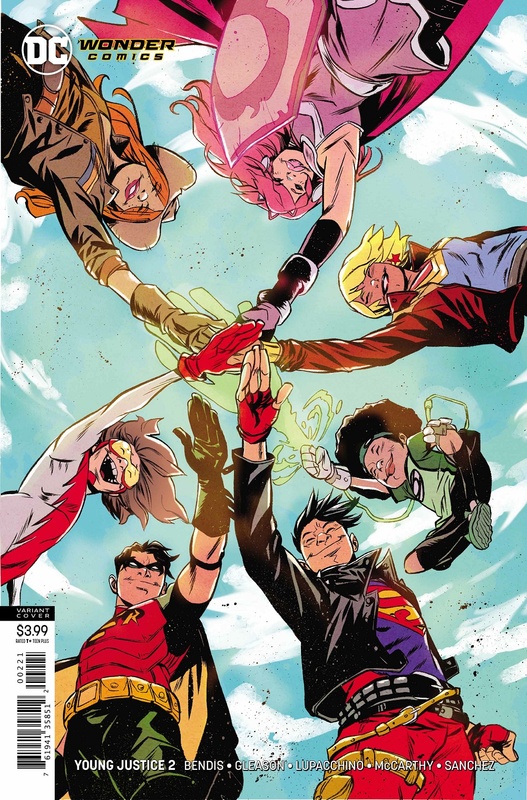 Young Justice #2 is available now.